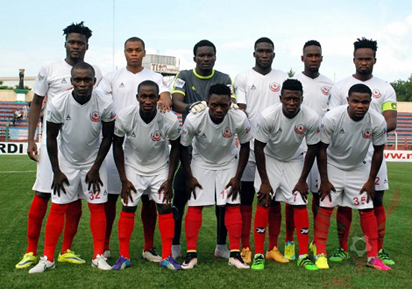 Unbeaten Enugu Rangers have said they hope to win even though they may be regarded as the underdogs going into Wednesday’s CAF Confederation Cup Group B tie at CS Sfaxien of Tunisia. “We may be seen as the weak team going into this match and that fits us very well as our target is to go there and surprise them,” said midfielder ‘Black Panther’ Ajani Ibrahim. “We are confident going into this match against Sfaxien in Tunisia and we believe that we shall come back with a good result,” added Captain Okey Odita. It would be recalled that CS Sfaxien after a 1-0 aggregate loss to Rangers in the 2013 edition of the competition progressed to emerge winners of that year’s edition after their protest against the use of goalkeeper Emmanuel Daniel by Rangers was upheld by CAF.